Lutherans have not dwelt much on “end times.” We have trusted Jesus’ words that no one knows the day or hour—but only the Father in heaven—so we are to be about his work now, while we have time. It’s hard to hear Jesus’ words, then, without thinking that Jesus may be speaking about “end times” to get us ready for times such as these! This passage sounds very much like our day and age. And not just when he speaks of nation against nation, and earthquakes and famine. Our Lord seems to be speaking directly to us when he speaks of persecution. Never have we in North America experienced such opposition for our faith, just as we have never faced Christians being tortured and put to death for their faith in our day. But our Lord knew it would happen—in the first century, but also in the 21st! 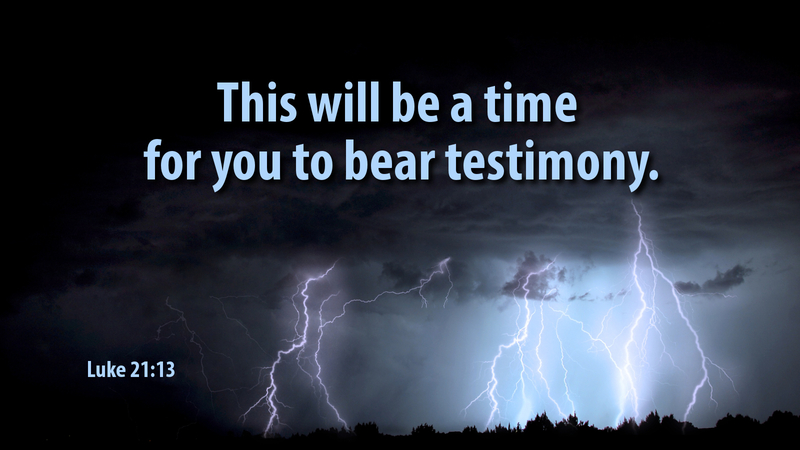 Prayer: Lord Jesus, give us courage and strength to boldly testify to the truth! Amen. Advent Action: Pray today for those who are being persecuted for their faith, that they may stand fast in the time of trial.